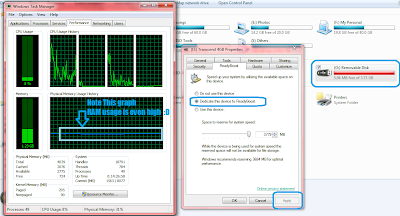 A formatted 4 GB USB can work as 1 GB RAM on Windows 7 PC. But the truth is far behind the way Windows shown to us. Whenever we insert the USB, an auto play option is Pop up, you can find the several options depending upon the content of USB device. For the Blank Drive, you will get two option Open folder to view content and another is of readyBoost. Believe me if you are doing this, stop pretending like fool! Let me show you some of the stats that will explain all this. I did this many time with my 2 GB RAM on Desktop, and tried to run some of the high performance eating application like VirtualBox and believe me after running a single OS with 800 MB RAM my PC start slowing down however I was not using any of the extra application. Here too ReadyBoost didn’t made any difference on my PC. Currently I’m showing you result from my Laptop. 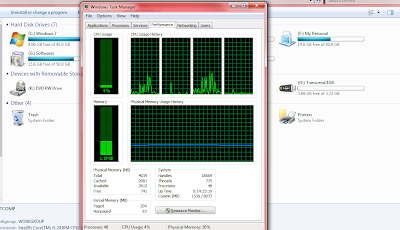 Configuration of My Lenovo G580 is i5 second gen 2.4 GHz quad-core with 4 GB RAM, 5400 rpm HDD and onboard graphic memory. I have Transcend 4GB device having 3.7 GB usable space. First screen shot is this. Everything is normal no extra process was running, the Task which are visible, Microsoft word, task manager and My Computer. And I have done it. Now the screen shot with all the proof is here below. System memory usage is either increased by some points or not affected. So please don’t waste your time in such jokes. 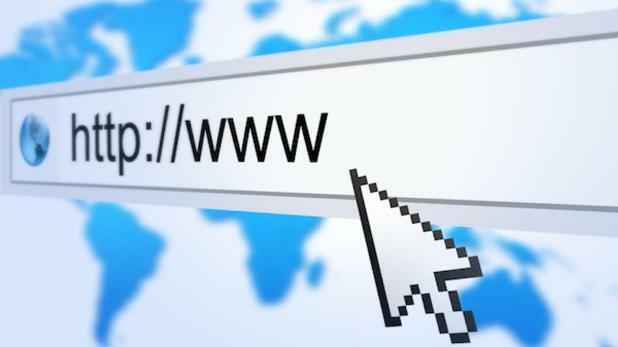 The Main focused vision for readyboost is to enhance caching memory of the computer also called virtual memory. This can be useful when your system drive is running out of memory space and Windows is showing you message that Windows virtual memory is too low. You can try this Readyboost to see If this works or not. Well I’ll better suggest you to allocate 4 GB space from each of your drive for the paging memory. This will be most effective thing for caching you can do on your PC. Select each drive and provide recommended space in MB for virtual memory. After 3-4 Restart your Computer will start performing faster for all programs including explorer. Who told you that readyboost will use USB as RAM? It cache frequently used files on USB. 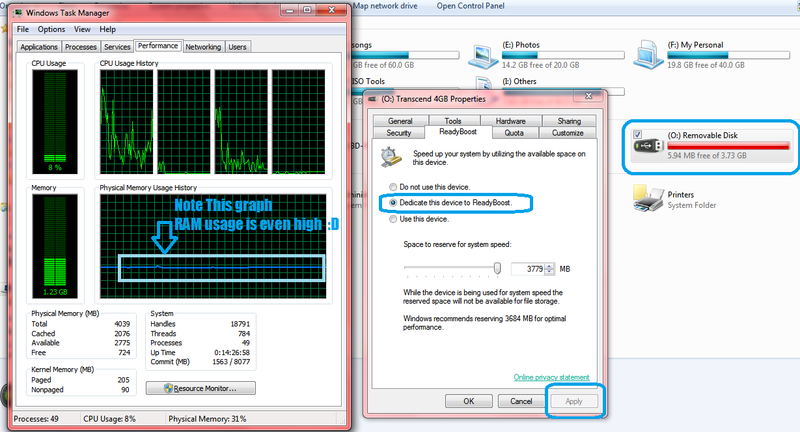 Reading files from USB is faster than compared to HDD which results in improved system performance. 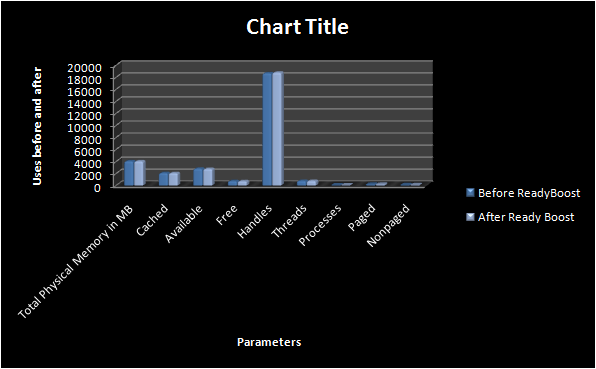 Superfetch feature in Windows 7 cache frequently accessed files in RAM. 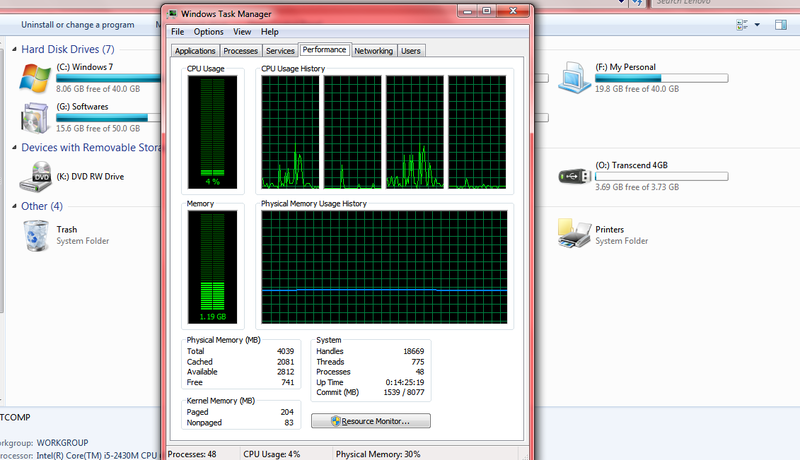 Amount of RAM size used by cache is shown in task manager. yeah but don't you think hard-disk can act as faster cache than that of USB,that what i suggested to have the virtual memory in all the drives, rather to carry on this myth.